One of the primary user tasks while undertaking LA-ICP-MS is the location and identification of points to ablate. 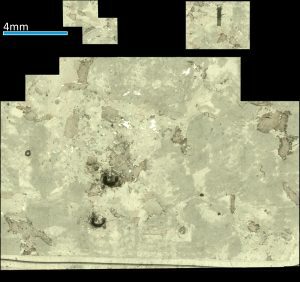 While a RESOlution instrument provides a high-resolution camera and high-magnification microscope, there may be some sample features that are not immediately apparent in reflected or transmitted light. To assist with sample navigation, the GeoStar software features a powerful image-coordination tool. 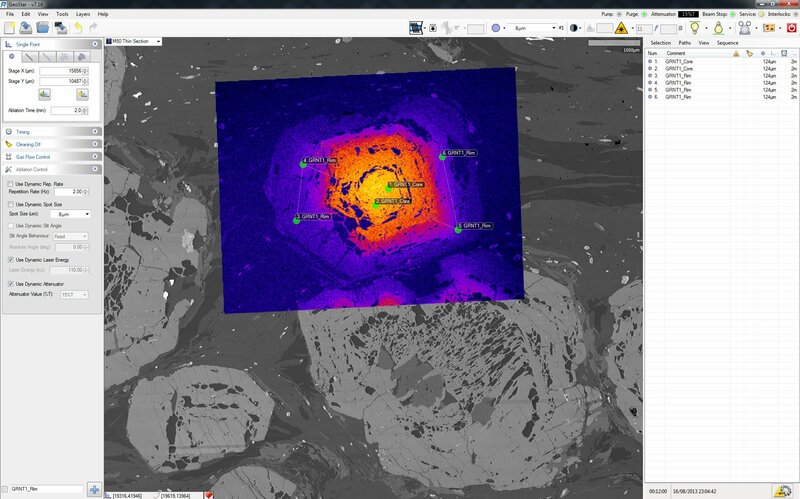 This allows the user to import images from any source, whether it be a flatbed scanner, slide scanner, optical microscope, SEM including SE, BSE and CL, as well as element abundance maps created by electronprobe or other, more exotic, instruments. Multiple images can be imported and their stacking order and transparency easily adjusted. The coordination process corrects for all linear transformations of the image, including rotation, reflection, scaling and skewing. The coordination is achieved by aligning three arbitrary points from the image to the sample and is a quick and simple process. To complement the image importing tool, and for those samples that lack independent imagery, GeoStar offers a wonderful mosaic tool for rapidly stitching images from the video display. The user simply selects the area, which can be of any shape, and the software starts to collect the mosaic. Each image is noise-reduced and stitched together automatically. 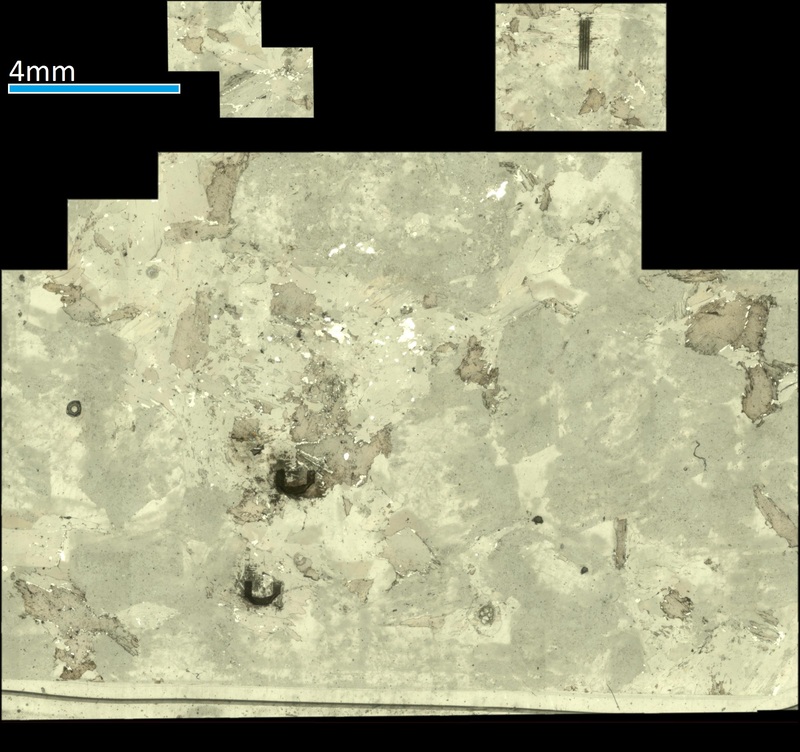 All images in GeoStar can be stacked and merged, allowing the software to work as a powerful image stitching tool that also maintains spatial relationships between images. Images can be exported in lossy or non-lossy formats, and coordination data are also exported in an easy-to-read text file. Norris Software is always willing to collaborate with all users to extend these features, and has been working closely with the Iolite team from the University of Melbourne to unify sample imagery with LA-ICP-MS mapping data. 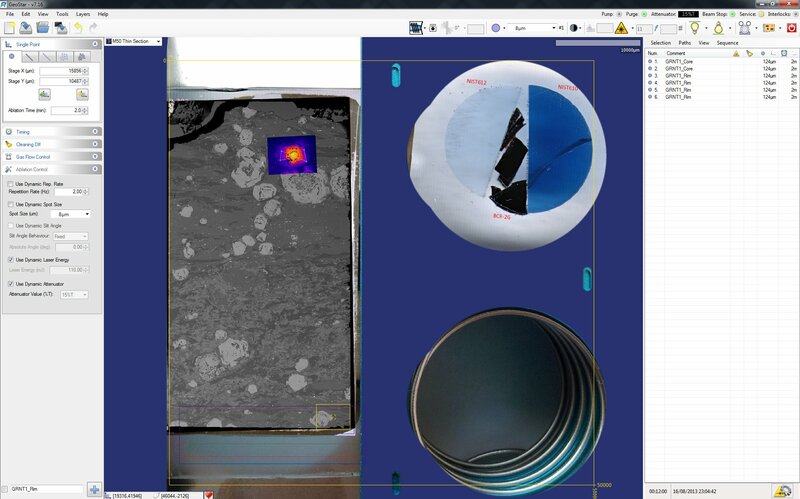 The visual display, including all point overlays and labels, can be exported from GeoStar as a high-resolution image. This serves as a useful visual record of the ablation sequence. 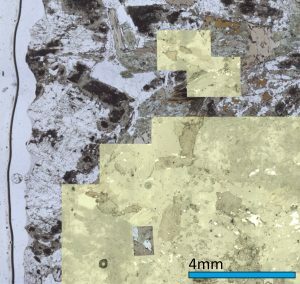 In addition to this feature GeoStar will save a wide range of log formats, including sample images, and even video!